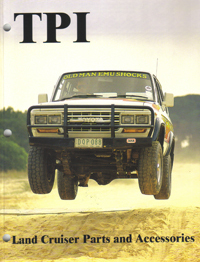 NOTES: TPI Land Cruiser Bikini tops and Dusters since 1975. Black vinyl with adjustable straps. Comes with 2 footman mounting loops. 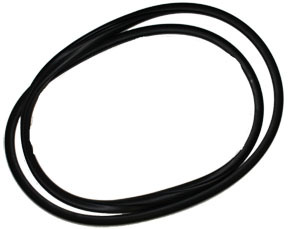 All our Bikini tops require our “round” rail system #TRAIL to eliminate accidental removal at highway speeds. 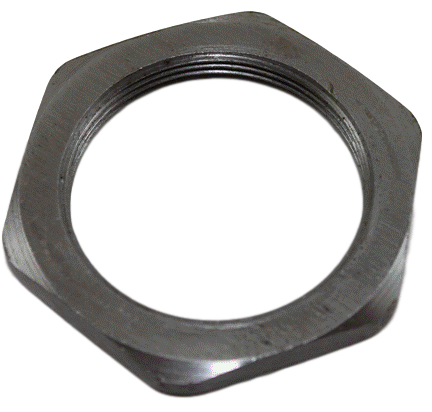 Top can be quickly installed/removed by simply sliding from the side of rail. Bikini requires roll bar and works with front cage #TCAGE. When using the Family Cage #TFAMY, you can order the Family Bikini #KFBIK for full coverage. 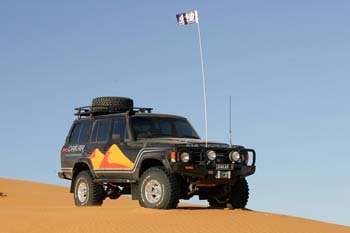 TPI Land Cruiser Bikini has been reported to fit 4 Runners with removal top and does not require the rail. 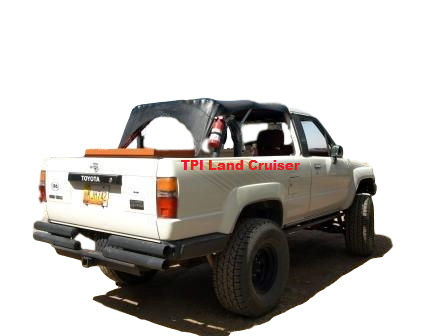 TPI designed this top to fit FJ40 Land Cruisers and can not advise installation or assume fitment issues on 4 Runners.